The students who will do best and contribute the most at Greenwood are those who not only have experienced success and overcome challenges in their lives, but who also have character. We believe that character is composed of four elements – intellectual, moral, civic and performance character. If we can instill these elements of character in our students, they will graduate ready to be competent, ethical, engaged and contributing members of society. In order to develop these values, it's essential that students learn in a culture that endorses and practices them. At Greenwood, they'll do just that. We build character at Greenwood through our school culture and group norms, as well as through activities that take place outside the traditional classroom, such as service learning, athletics, outdoor education and the arts. We also believe that the students who will thrive at Greenwood are those who have character. And so, when we consider students for admission to the school, we review their character in addition to both their school performance and extracurricular involvement. Character is shaped by the territory explored. Ultimately, though, conclusions on the character of a student-applicant are a function of the expertise and instincts of our admissions professionals. Much work has been done in recent years develop a more objective means of assessing character in middle and high school admissions. 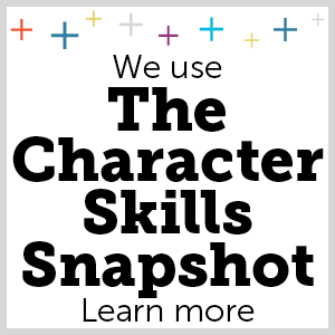 The Enrollment Management Association (EMA), based in Princeton, New Jersey, has developed the “Character Skills Snapshot” (CSS) which is an online tool that examines eight essential character qualities of individual students. Greenwood applicants don't need to take the Secondary School Admission Test (SSAT), but are required to complete the CSS. The CSS results don't replace the judgment of our admissions officers; rather, they supplement that expertise. We want students who fit with our culture of character.